First Motorola announced the Droid RAZR is coming to Verizon in November. The Droid RAZR will be the "thinnest" smart phone on the market when it is released. It will be a svelte 7.1mm thick which is more than 2mm thinner than the iPhone 4 and 4S. Notice I put thinner in quotes because 7.1mm is measured at the thinnest part of the phone. The hump at the top will actually be thicker than 7.1mm. 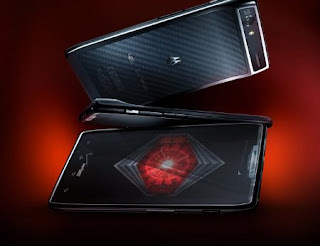 The RAZR will come with all of the up to date specs that phones have these days. Those specs being LTE, 4.3" Super AMOLED screen, 1.2ghz dual core processor, 1gb RAM, 8mp rear camera, front camera and the ability to record video in 1080p. Next up is the Samsung Galaxy Nexus which will be the newest developer phone from Google. Google and Samsung held a joint venue in Hong Kong to announce both the Galaxy Nexus and Android 4.0 which can be seen in its entirety here. 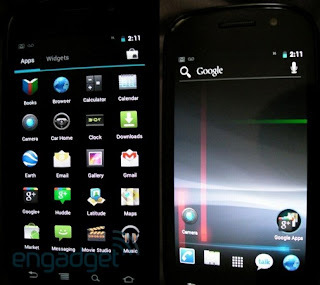 The Galaxy Nexus will usher in the next version of Android called Ice Cream Sandwich (ICS) and since there are too many highlights to list, just click the link to find out more. ICS will bring the phone OS (currently Android 2.3.x) and tablet OS (Android 3.1.x) back onto the same platform to be used for both devices in the future. The Galaxy Nexus will break the mold of past Nexus phones and will be released on all major US carriers although it will probably come to Verizon first. You can sign up here to keep informed when it'll be released on your carrier. 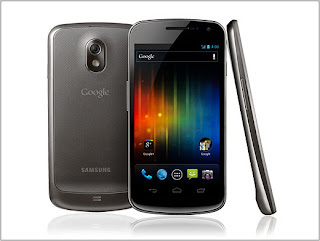 The Galaxy Nexus will be a 4.65" Super AMOLED, 1.2ghz dual core processor with a 5mp rear camera that can record 1080p. The Galaxy Nexus will support both LTE and HSPA+ so it can achieve "4G" speeds on every carrier except Sprint since their "4G" is WIMAX which is not supported. Sprint has announced that they will switch to LTE but the Galaxy Nexus will only be 3G for sprint for the time being. Ice Cream Sandwich has already been announced for tablets such as the Asus Eee Pad Transformer 2 Prime and is said to come to the Droid RAZR in early 2012. 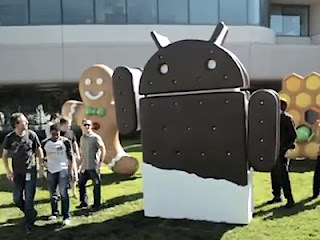 Actually Google confirmed that ICS will come to the Nexus S and all phones that currently run Gingerbread (Android 2.3.x) but please don't wait for your current Android phone to get updated to ICS. It may eventually come but since updates need to be customized by manufactures then approved by carriers before it's sent to your phone, your current Android phone may not see ICS for 6 months or longer. Just count on buying a new Android phone with ICS before your current gets updated and you won't be disappointed. This holiday season will be a telling one that should flush out which mobile OS's will be around for the long haul. Apple recently announced and released the iPhone 4S with iOS 5, Microsoft announced its next round of Windows Phones. Nokia's upcoming, super sleek Windows Phone has been leaked as well. And now Google enters the race with the two phones mentioned above. Which one will you buy?